5. 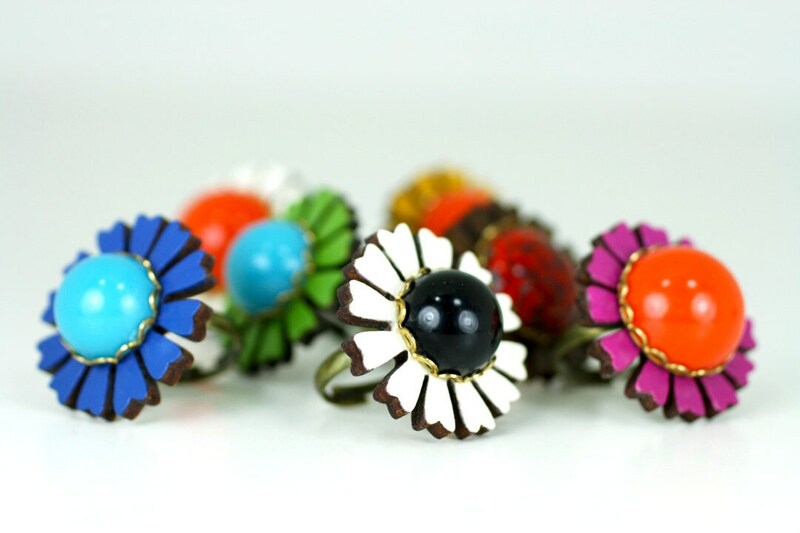 These rings are amazing!! There are also some amazing Christmas ornaments in Karen's shop! Oh yeah, and cute necklaces too. Of course I love the Cat Eyeglasses Sweater but this guy is just about equally adorable. When I was a little kid I wanted a dog so bad, specifically a Schnauzer for some reason. When I didn't get one I pretended I had an invisible pet Schnauzer. I don't remember what I named it though! 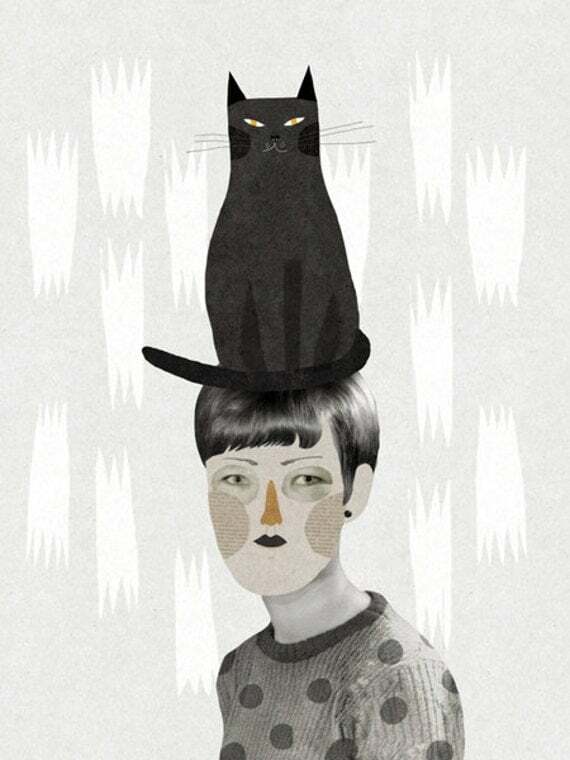 The cat is like, "Yeah, so what?". 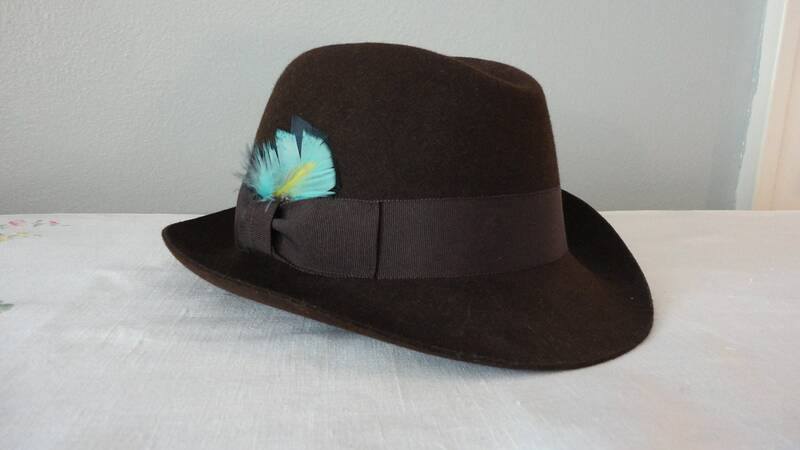 I love the pretty brown colour and that is just about the prettiest feather I have ever seen in a hat! 1. I love this dress. Doesn't it just look perfect?! So, we didn't end up having time to make root beer yesterday which was a bummer. I'm sure we will get around to it soon though. Today we might try to do some Christmas shopping. I am so not in the mood for that but it would be nice to not have to worry about it in a few weeks. What is everyone up to today? I've been without my laptop for 2 weeks and I missed it sooo much, but I got to go pick it up today. Then I went thrift shopping with my friend :) I bought lots of amazing stuff including one satin designer dress. Oh, I love those rings! The orange and pinkish-purple is cute. And I have a thing for bird dresses. So in love with those rings and that dress, need to wear them together oh yes! Happy weekend! I really love those rings! :) Have a great weekend, dear! I really like those rings.